In his fifth visit to Gujarat before Assembly polls, Rahul visited Porbandar, addressing issues faced by the fishing community. Taking a jibe at PM Modi's 'Mann ki baat', Rahul said "Congress party doesn't want to tell you our mann ki baat. We want to hear your mann ki baat." He said after Congress wins elections, we will hear "your mann ki baat." 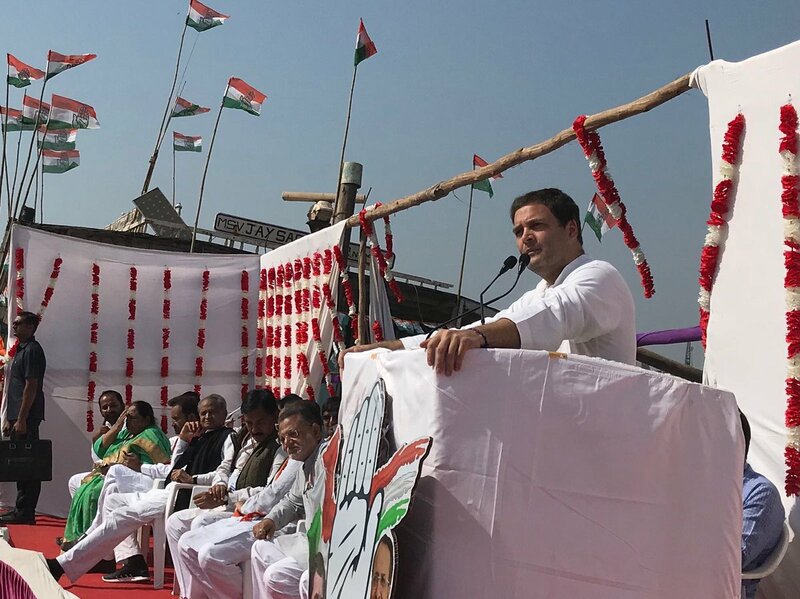 While addressing fishermen at the Navsarjan Maachimaar Adhikar Sabha, Rahul said PM Modi gave Rs. 33,000cr to Tata for Nano plant; the same amount that Congress spent on MGNREGA and generated employment. Despite this, he claimed that no Tata Nano was seen. He said that the government is splashing on Nano but can't dish out money for Gujarat government's subsidy burden of Rs. 300cr. Rahul claimed that fishermen have to go far from the coast to catch fish because of pollution. 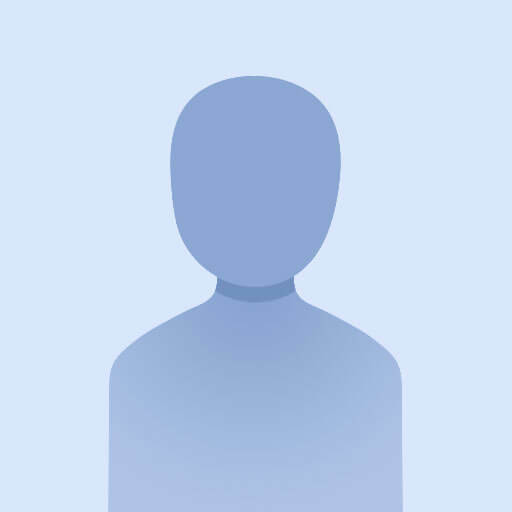 He contended that industrialists supported by Narendra Modi are responsible for the pollution. Rahul asserted that there should be a separate fisheries ministry along the lines of the agricultural ministry; he promised that this will be an order of business once Congress returns to power at Centre. Porbandar Machhimar Boat Association president, Bharat Modi claimed that he was a BJP worker; however, he said BJP didn't hear fishermen's issues like making a no-arrest policy for fishermen in international waters and bringing diesel under GST. Taking a cue, Rahul said though his leader is in power, Bharat is venting grievances on Congress's stage; thus, he urged people to vote for Congress. What else did Rahul do on his tour? 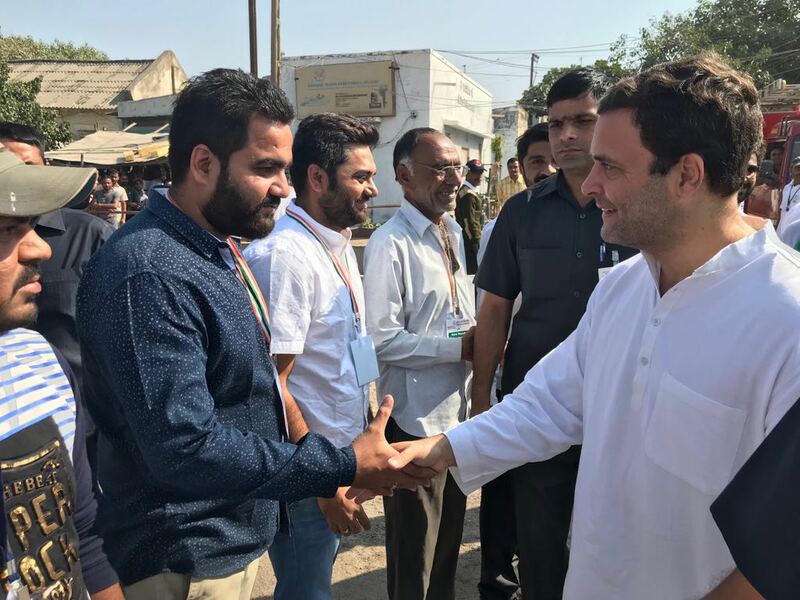 In Porbandar, Rahul visited Mahatma Gandhi's birthplace Kirti Mandir. He also visited Palghar Marine Engineering Works, where he met manufacturers of boat parts. Later, he will travel to Sanand to address a Dalit Swabhiman Sabha and accept a mammoth national flag measuring 125X80 feet made by Dalit artisans. Reportedly, CM Rupani had refused to accept the same flag due to lack of space. Tej Pratap Yadav, Lalu Yadav's son, courted controversy after a video of him allegedly threatening Bihar deputy CM Sushil Modi emerged. Finally, the wait for the Parliament's winter session ends; it will begin the day after polling for the Gujarat assembly elections ends. The Allahabad HC banned the media from reporting on the proceedings of the 2008 Gorakhpur hate speech case; UP CM Yogi Adityanath is the prime accused.